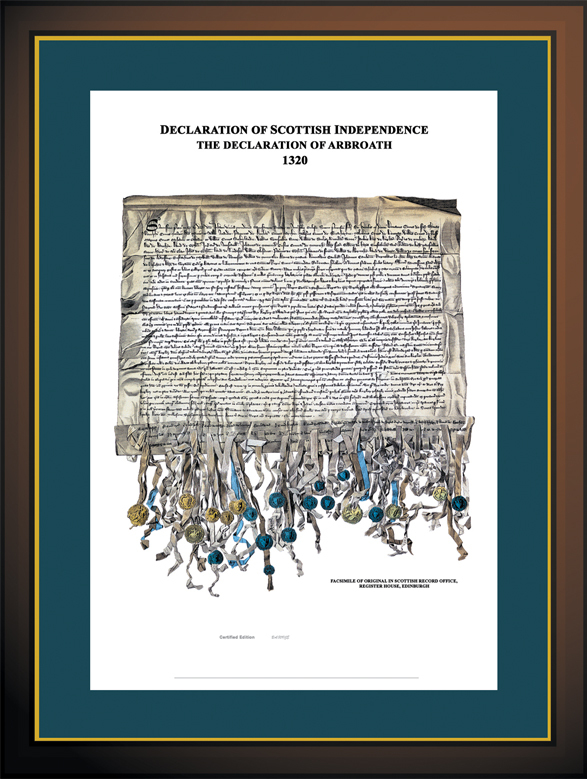 "Scotland's most precious and treasured historical document"
and treasured historical document in the National Archives of Scotland. and as true to the original as possible. an English translation, also a full colour Information Sheet and a Certificate of Authenticity.